An absolute beginner at computers? 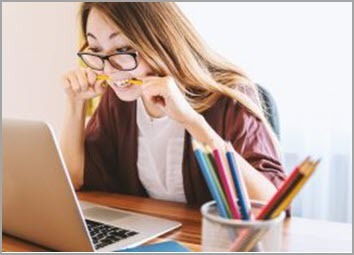 Feeling frustrated when using Google Chrome or MS Word? Help is at hand! We are excited to announce a new partnership with Stepping Up in offering free digital skills workshops to customers. Check out the Stepping Up course catalogue here – Stepping Up catalogue. We can provide one-off two hour workshops on a selection of topics such as; computer basics, setting up an email account, using Facebook or Trade Me, or creating a C.V.
We are currently running monthly workshops at Tawa and Johnsonville libraries, feel free to contact us at enquiries@wcl.govt.nz for further information or with any suggestions of particular workshops that you would like to see us run. Tawa Library 10am-12pm on the first Thursday of the month, phone 232 1690. Johnsonville Library 10am-12pm on the first Friday of the month, phone 477 6151. Register on the Stepping Up website or talk to a staff member for more information. Please spread the word and tell your family and friends! Have you discovered Excio yet? 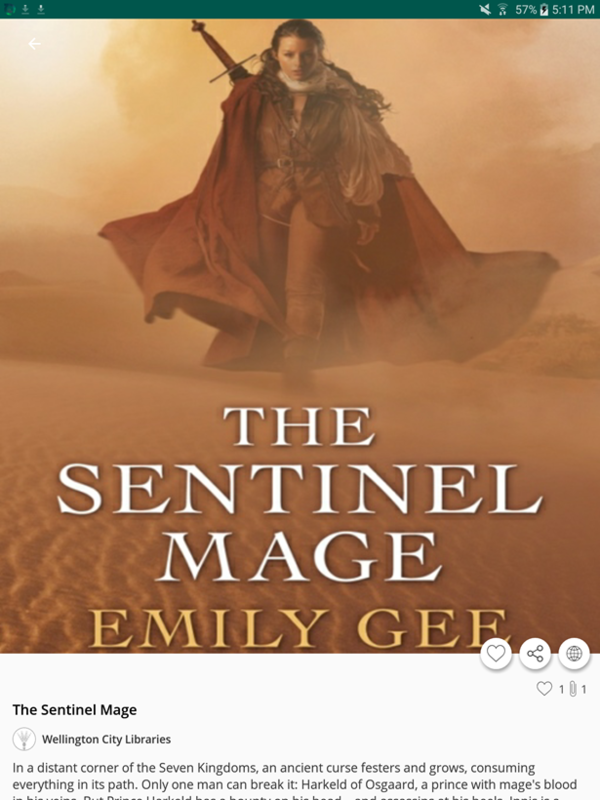 You can enjoy a rotating collection of fantastic book cover images for your device wallpaper, discover new authors, check out OverDrive eBooks and audiobooks, and share your favourites on social media. Plus, if you download Excio and use it for the next four weeks, the more you share the higher your chance of winning one of our great prizes! To get started, head to Google Play to download the Excio app for your device. 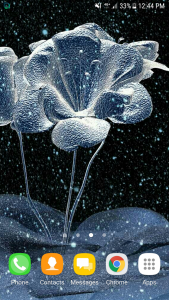 The app is currently only available for Android devices, an iOS app is still in development. For more information check out our earlier blog post or the Excio FAQs – if you need further help, email us at enquiries@wcl.govt.nz. Entries will be accepted from 11th October 2017 until 10th November 2017. Only entries received on or between these dates will be considered. Winners will be selected and notified by 17th November 2017. The winning prizes cannot be exchanged for cash or similar, or another prize. 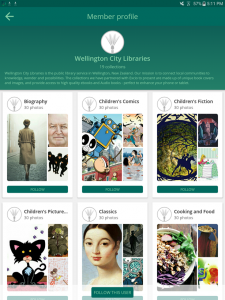 Your contact information will be kept confidential by Wellington City Libraries and not disclosed or sold to any other party. 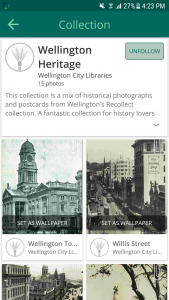 Wellington City Libraries has partnered with local start-up Excio to bring amazing images to your Android smartphone or tablet home screen. With the Excio app you can follow collections of images which can be used as wallpapers on the home screen of your device. 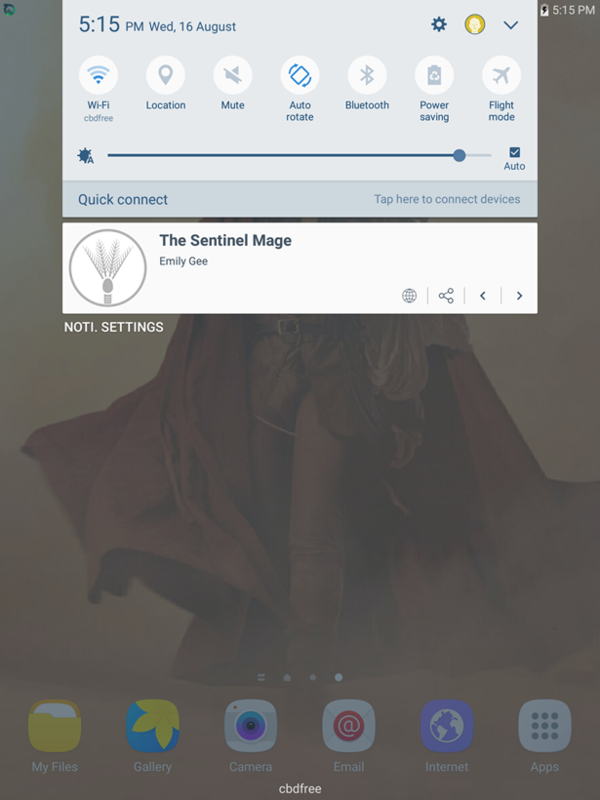 The images link to our OverDrive eBooks/audiobooks and other library content, and you can even read OverDrive samples within the Excio app, as well as like and share book covers. 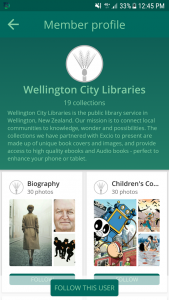 We have 20 genre/subject based collections on Excio which will be refreshed every couple of months. 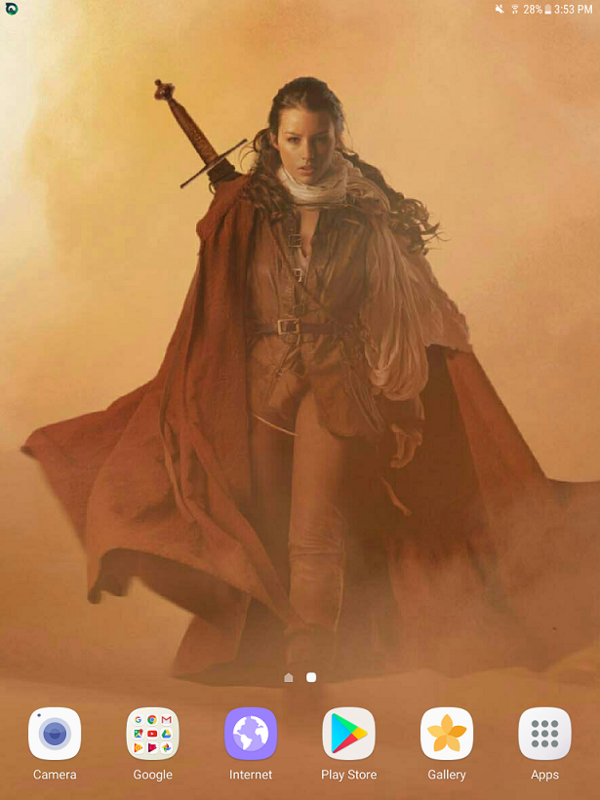 Enjoy a rotating collection of fantastic book cover images for your device wallpaper, discover new authors, check out OverDrive eBooks and audiobooks, and share your favourites on social media. By following our collections you can bring the library to you! To get started, head to Google Play to download the Excio app. The app is currently only available for Android devices, although the Excio team plans to develop an iOS app. For more information check out the Excio FAQs – or if you need further help, email us at enquiries@wcl.govt.nz. September/October school holidays – Celebrate Space! We have some great events happening across our libraries during the school holidays that are free to attend, and will be lots of fun too! 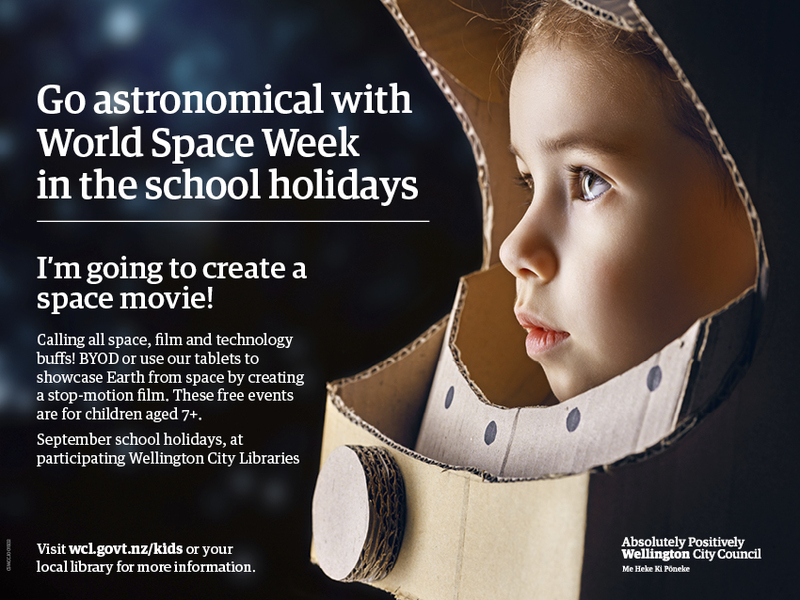 We will be celebrating World Space Week by creating Space Movies! Calling all Space, Film and Technology buffs! Bring a device, or use one of our tablets to showcase Earth from space by creating a stop-motion animated film. Please bring your own device if possible. The library will have a limited number of tablets that can be used on the day. Before the event, please download a free app called Stop Motion Studio on to your device. The event is free, and no bookings are required. However due to limited resources and library spaces, librarians may limit numbers on the day depending on how many people turn up. 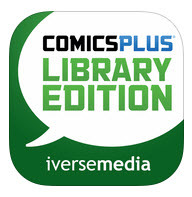 Have you tried our new eLibrary service ComicsPlus yet? 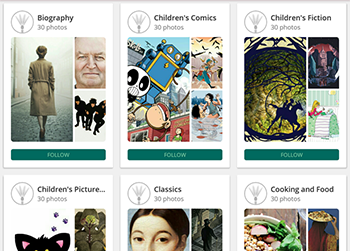 It has a vast collection of diverse comics and graphic novels for all ages which can be read on a computer, and there is an iOS app! Read comics and graphic novels on your iOS device by downloading the iOS app (Alternatively, you can find help for desktop or laptop access here). There’s no limit to the number of titles you can take out through ComicsPlus, and comics are made available for 7 days. Now’s your chance to read any number of series from beginning to end! 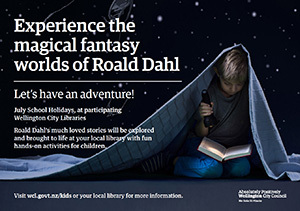 Enjoy the magical worlds of Roald Dahl these holidays! Due to the release of the movie The BFG and with 2016 being his 100th birthday, we are celebrating that amazing author – Roald Dahl. During the school holidays kids can whizz-pop their way into a library for some whoopsy-splunkers fun! We will be exploring the life of Roald Dahl, learning Gobblefunk (the language of The BFG), competing in a clever matching game, and creating dream jars. Your kids will be frothbuggling if they miss this one. Our School Holiday activities are suitable for 6-12 year olds and last one hour. They are free and bookings are not required – just turn up. 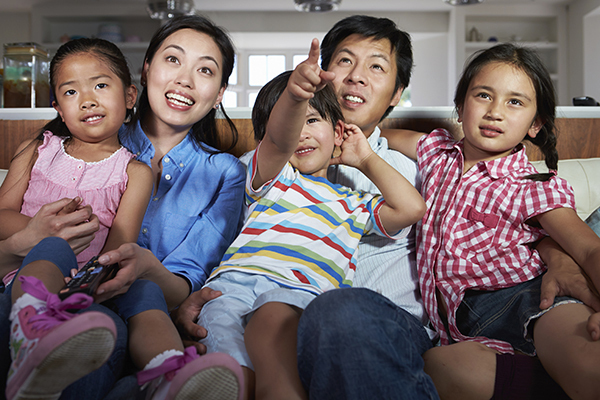 On the first Friday of each month we are screening family friendly feature films from the library’s collection at Newtown Library. Sessions begin at 6pm in the YA area/tent at the library. These screenings are free to attend. The next session is tonight, on Friday 1 July. We have special permission to screen these films for free in public libraries as long as we don’t advertise the film name online. 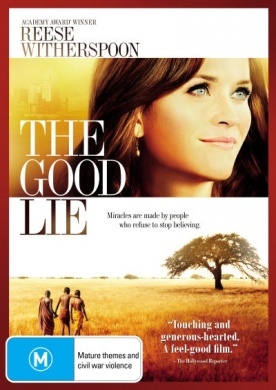 Please call Newtown Library (389-2830) during library opening hours to get more details about the film screenings and reserve your seat. 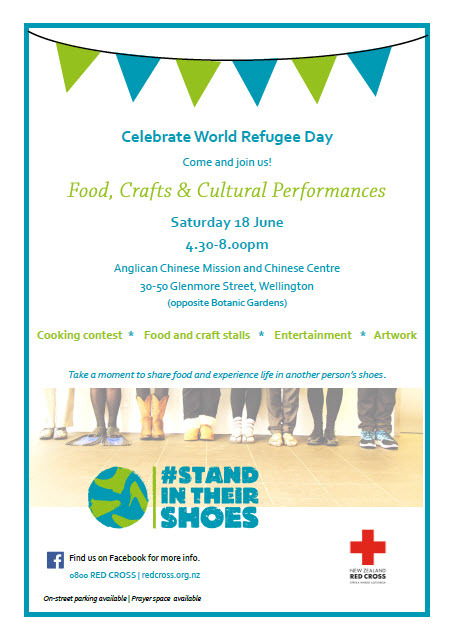 Every year countries around the world recognise the plight of refugees and celebrate the contributions of diverse cultures by marking World Refugee Day on June 20. There are currently around 20 million refugees worldwide, half of which are under the age of 18, for more on the statistics check out The UN Refugee Agency. If you would like to know about the history of refugees in New Zealand, visit Te Ara – The Encyclopedia of New Zealand. If you would like to help refugees in New Zealand, consider assisting NZ Red Cross with refugee resettlement, or supporting ESOL courses with English Language Partners. What is happening in Wellington? 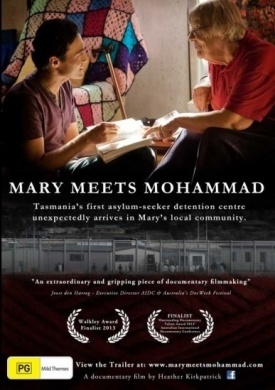 “Mary meets Mohammad is a film that follows the arrival of Tasmania’s first asylum seeker detention centre through the eyes of local knitting club member Mary. Mary is a staunchily Christian pensioner, who is not welcoming of the 400 male asylum seekers, who have come mostly from Afghanistan. 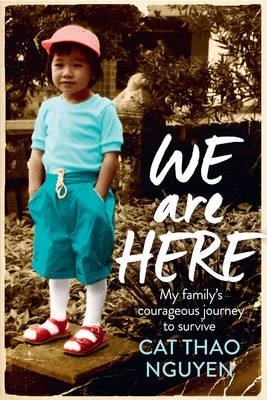 Mary unexpectedly finds herself in regular contact with Mohammad, a 26 year old Muslim Afghan Hazara man, after her knitting club donates woolen hats to the men inside the detention centre. Mary sheds many of her prior beliefs as her relationship with Mohammad deepens and she is reminded of their common humanity” (Container). “They were known simply as ‘The Lost Boys’. Orphaned by the brutal civil war in Sudan that began in 1983, these young victims traveled as many as a thousand miles on foot in search of safety. Fifteen years later, a humanitarian effort would bring 3,600 lost boys and girls to America” (Container). Come to the Central Library and experience Shakespeare live! Just because April has finished and Shakespeare’s birth/death date on 23 April has passed does not mean that the fun is over at Wellington City Libraries. We have more Pop-up Shakespeare sessions planned for the year, Shakespeare Globe Centre New Zealand will be organising for actors from various local theatre groups to come in to Central Library at 11am-12pm on one Saturday per month throughout the year. They will be performing scenes from selected plays, with four plays per event, in roughly chronological order. Audience members will be encouraged to join in! There are also a few talks coming up throught the year on various aspects of Shakespeare and theatre, more dates to follow.